A select group of American voters have boarded the Trump train, but it may run out of steam thanks to the digital ad spend of the opposition. Trump’s comments have provided Hillary Clinton’s campaign with plenty of fuel for attack ads. 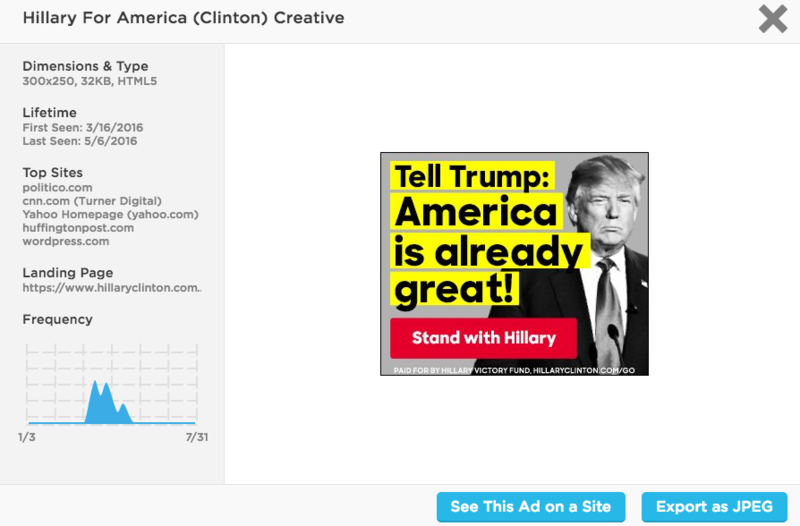 According to Pathmatics data from January 1, 2016 to July 31, 2016, Hillary for America—the candidate’s PAC—launched 484 unique creatives on desktop that garnered more than 2.3 billion impressions over that time period. 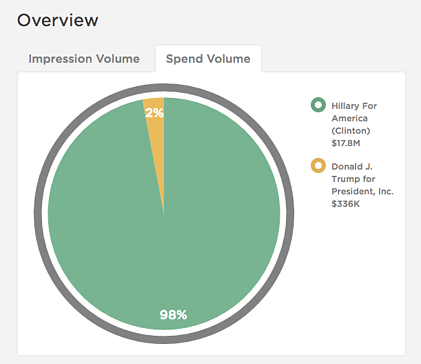 The campaign’s total ad spending topped more than $17.8 million on desktop and $364,000 on mobile. Several popular ads—some launched during the Republican National Convention (RNC) in Cleveland, Ohio—brought the hammer down on Trump personally. Trump must currently be spending his vast fortune elsewhere: the Trump organization Donald Trump for President, Inc. only spent $336,000 on desktop ads and $12,000 on mobile in the same time period. Keep reading to see the top anti-Trump creatives released by the campaign in 2016. 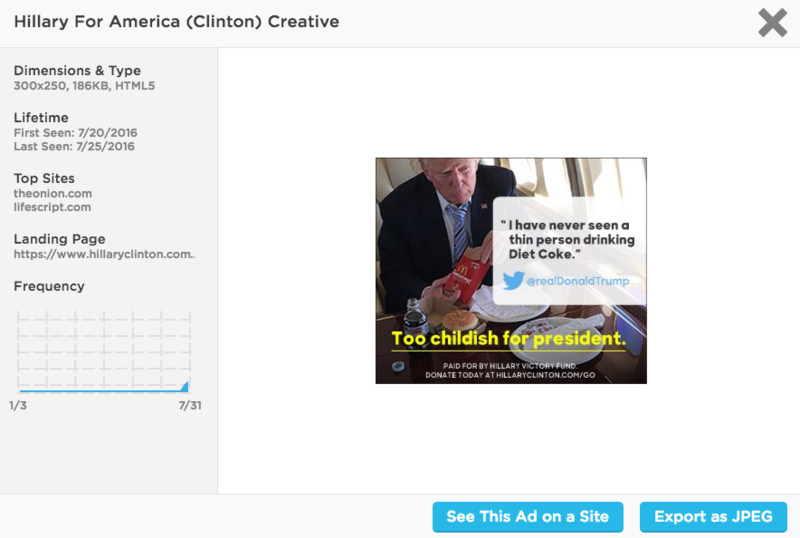 Editor’s Note: We’ll detail Trump’s creatives and ad spending in a future post. 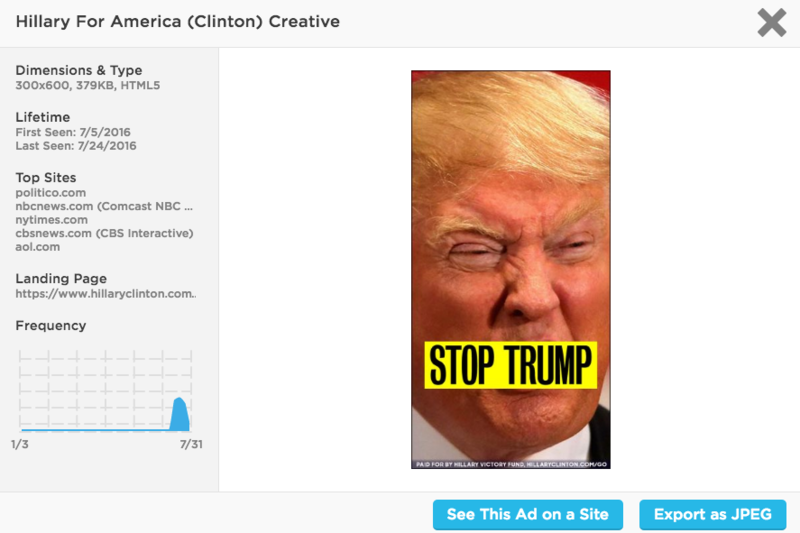 Most of the ads attacking Trump personally were launched in July as conventions occurred and the race heated up. However, this anti-Trump ad happened much earlier; it was first seen on March 17, 2016. The ad ran on sites like Politico, AOL’s homepage and the Huffington Post. 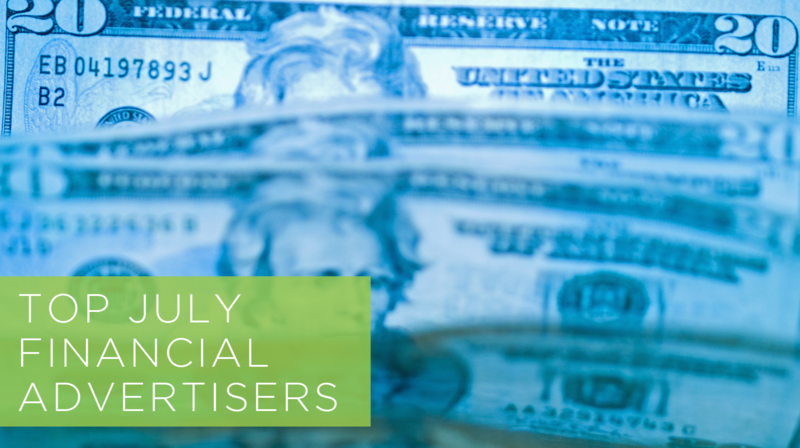 As July literally and figuratively heated up, so did the ads. This one was launched early in July before the conventions, but was last seen as the RNC ended. 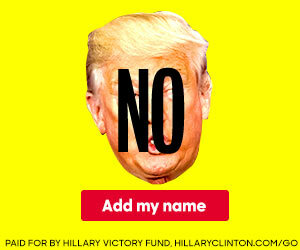 It encourages viewers to simply “Stop Trump,” and features a bright yellow box over his mouth. The ad ran on sites like The New York Times, NBC News, Politico and CBS News. 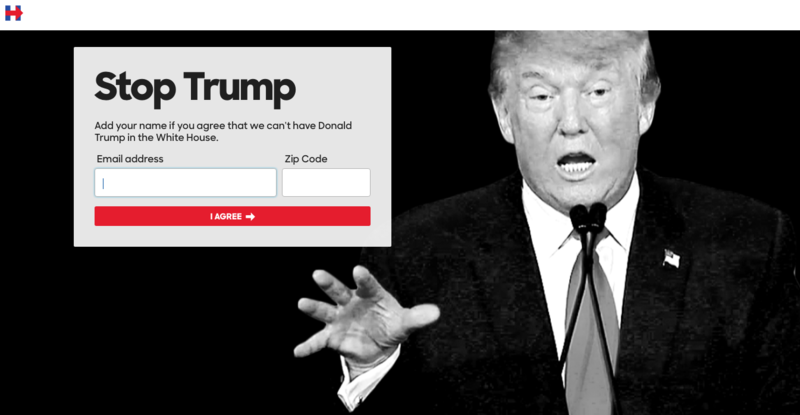 It sent visitors to the “Stop Trump” landing page detailed above. Debuting on the tail end of the RNC, this ad takes aim at Trump’s incendiary rhetoric. It generates buy-in from viewers by encouraging them to support the statement “Trump doesn’t speak for me.” The ad ran on sites like Mediafire.com, MSN, AOL and CNN. What Does Trump Say About People Like You? One of the more powerful ads uses Trump’s negative comments about different types of people against him. 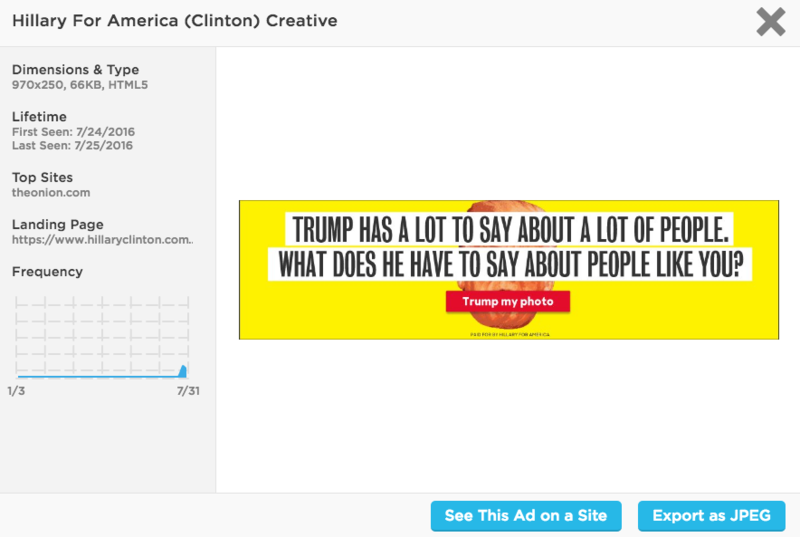 It asks the viewer “What does he have to say about people like you?” The ad then offers the ability to “Trump my photo,” a call-to-action that leads to a “Trump Yourself” page. This page takes a photo from a visitor’s Facebook profile and overlays it with a less-than-polite quote from Trump. The ad was matched with an appropriate platform: it ran on The Onion, a popular satirical news site. 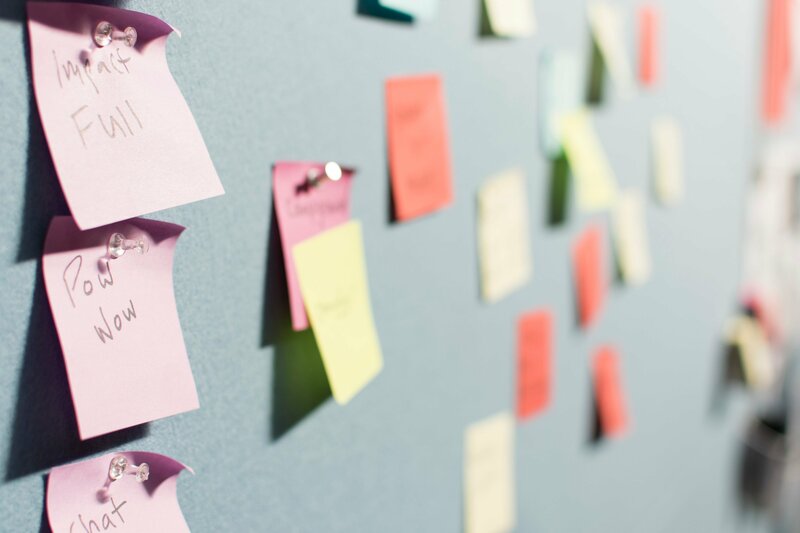 Is It Time to Make Your Ad Strategy Great Again? Pathmatics offers ad intelligence you can’t get anywhere else. 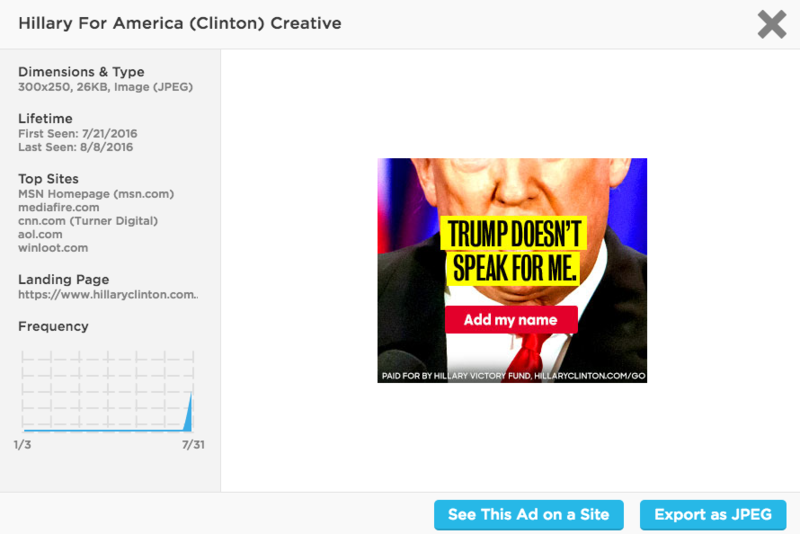 Our platform enables you to see your competitors’ exact ad strategy and use those insights to improve your own campaigns—even if they happen to be running for president. Schedule a demo today. 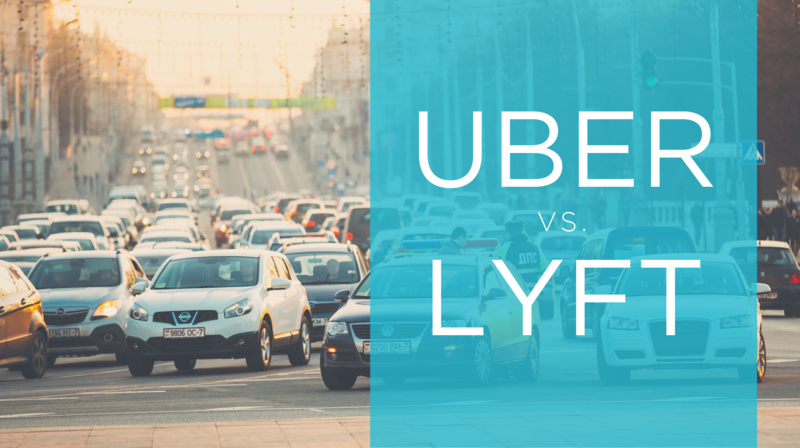 Uber vs. Lyft: Who Spends More on Digital Advertising?